able to create are, in some cases, some of the most amazing sounds one might hear in a whole year, and can only be described as easily enjoyable ear candy. While songs like “The Bus Stop Song” are meant to be short and to the point, others like the kooky half-instrumental “B” just don’t come across as very exciting, but these are building blocks for the rest of the album. The harmonies on the well-titled “Tarquins’ Half-assed Mission Statement” spring the album to life and allow the band to wander all over the musical map. Without a doubt, the most exciting track here is “I Did Nothing But Train For Two Years, I Bet I Could Be In The Olympics,” which is about the joyous triumph of an underdog. The drumming, in particular, brings the band to the brink of goof pop supremacy. The anti-war “Our Brother Tom, The Green Beret” should strike a chord with people everywhere if they have a family member in the military and they’re against the war. 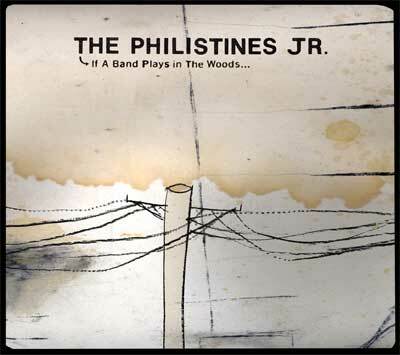 Playing as if it hasn’t been away for over a decade, The Philistines Jr. sound as confident as ever, and that brings a new sense of quickness and workmanship to every song. “Working Title: The Mob” is one of the most fully-formed songs on the record, and it’s the sound of a band that’s more than comfortable back in their old skin — quite refreshing in this Lady Gaga world. Aside from the meandering instrumentals near the end, this is one of the best pop records of the year, and it’s so refreshing to hear a good old pop band playing good music again. Pete Crigler was a former REDEFINE contributor.